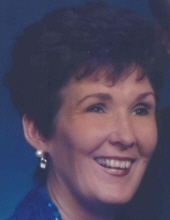 CHURCHVILLE – Carole (Sinclair) Oates of 266 Taliaferro Dr., died Friday (November 30, 2018). Born January 14, 1945 in Morrilton, Ark., Carole was the daughter of the late Erskine Boyce Sinclair and Romaine Agatha (McCown) Sinclair from Pottsville, Ark. In 1967, Carole graduated from Oklahoma State University and married James C. Oates (also from Pottsville); they recently celebrated their 51st anniversary. She was a devoted wife, mother and homemaker. Carole taught pre-school for a number of years and also enjoyed participating in craft shows with her own floral creations and hand-crafts. She was preceded in death by a son, Bryson Sinclair Oates in 1996; and by a sister Barbara Ellen Sinclair Rogers. Surviving in addition to her husband are a brother, John McCown Sinclair of New York, N.Y.; a niece and nephew, Laura Nuzzaci and Brian Rogers; and a number of great-nieces and great-nephews. The family will receive friends from 7 to 8 p.m. Tuesday, December 4 in Bear Funeral Home, Churchville. A burial service will be held 2 p.m. Saturday, December 8 in Pisgah Cemetery, Pottsville, Ark. Memorials may be directed to the American Cancer Society, www.cancer.org. Condolences may be expressed to the family online at www.bearfuneralhome.com. "Email Address" would like to share the life celebration of Carole S. Oates. Click on the "link" to go to share a favorite memory or leave a condolence message for the family.